Paediatrics is the branch of medicine that deals with ailments suffered by infants, children and teenagers between the ages of 14 and up to 21. This is a very specialist area of medicine which looks solely at the effects of illness on minors and also aims to treat these conditions sometimes using different methods to those used when treating adults suffering from the same ailments. It is important to remember that where an adult can be treated for a condition in one way using a series of medications and procedures, these same medications and procedures may not be conducive to a child's body and nervous system. 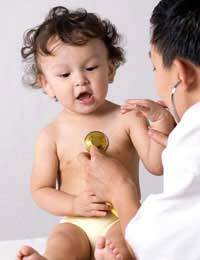 A Paediatrician - as the name suggests - is a doctor who has specialised during his or her training as a doctor of medicine relating to the care of children. He or she will concern themselves solely with the well being of their minor patients and will be involved in providing tried and tested courses of treatment for many of the common ailments that afflict children and teenagers alike. It is important to note that certain adult conditions such as coronary heart disease are rare in children but illnesses such as bronchitis which are common in children are rare - although not entirely heard of - in adults. It is for this reason that a Paediatrician specialises on caring for children. This specialist form of Paediatrics deals with heart conditions experienced by children, infants and teenagers which need to be treated differently from those conditions suffered from by adults. Another specialist form of Paediatrics which deals with the various types of cancer that an infant, children or teenager might fall ill too. Paediatrics is also responsible for helping compile valuable research data on the various forms of cancer which may be present within children. Various types of Leukaemia, Sarcoma and Lymphoma which are often common in children but not in adults are dealt with under the umbrella of Paediatrics. This branch of Paediatrics deals specifically with the care of newborn infants and is normally carried out in Neonatal Units. Principally the role of a Paediatrician in these departments is to help with cases of premature birth where an infant's birth weight may be dangerously low, asphyxiation at birth and a host of other conditions that can cause complications either during or after birth. In order to become a Paediatrician you must first qualify as a General Practitioner (GP) and then undergo specialised training. This training involves many hours of study as well as practical experience on children's wards under the supervision of a consultant. A General Practitioner wishing to become a Paediatrician will be expected to complete a residency before he or she can qualify as a fully qualified Paediatrician. If you are considering becoming a Paediatrician or doctor specialising in any sort of child care you must first undergo the normal training regime as laid down by the National Health Service. You can find details of this at the National Health Service's website or by visiting your career's advisor. I would like to work with children I am in the 10th grade and I would like to enter your program when I graduate from high school.